Putin disagreed. He admitted that the team might not come close to winning anything but wondered at such pessimism. “Possibly, we will not win anything, but what makes you think we’ll play poorly?” Putin enquired. You can click here to see the latest odds for Russia to actually win it! Semyonov, engaging the President in a game of wit, replied that the team would only start matching expectations if the Putin coached the team himself. “No. Each should mind one’s own business. 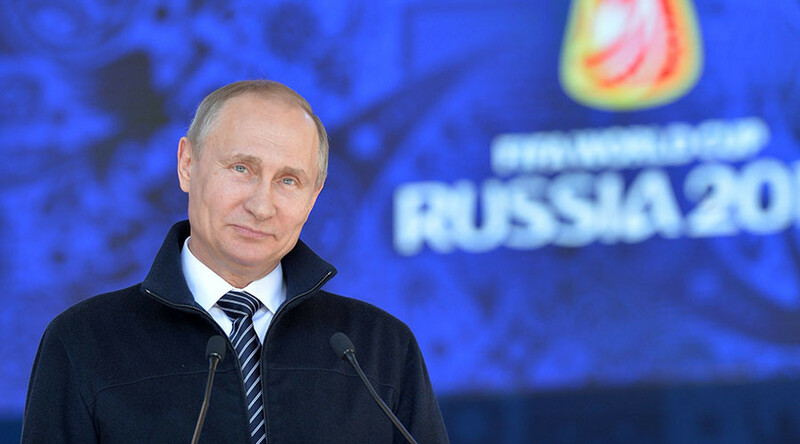 Let’s hope the guys will do their best,” Putin quipped. He added that he hoped the national team would put up a decent performance at the event. If it were judo or boxing, there were numerous wrestling rooms and top fighters at the host’s municipality. Alas, Russia national team were nothing close to their peak at the moment. The Russian national team would make the world event next year as hosts but they might find it hard moving past the group stage. At the prelude this year, the team did not make it past the group stage. The Deputy Prime Minister Vitaly Mutko revealed that the players were not going to be paid for failing to get past the group stage – the least expectations for host of the mini event ahead of new year’s. “No bonuses will be paid. The bonuses could have been awarded if they had cleared the group stage,” Motko pronounced. CSKA Moscow stars Igor Akinfev, Viktor Vasin, and Alexander Golovin were in the team; Spartak Moscow had IIya Jutepov, Dmitry Kombarov, Denis Glushakov, and Alexander Samedov; FC Rostov contributed Dmitry Ploz, Alexander Yerokhin, Alexander Bukharov and Fyodor Kudryashov. Former Chelsea man but now with Zenit St. Petersburg Yuri Zhirkov; Ruslan Kambolov and Maxim Kannunikov from Rubin Kazan; Alexei Miranchuk, Dmitry Tarasov and keeper Guilherme from Locomotiv Moscow and Roman Shishkin and Fyodor Smolov from FC Krasnodar. Most Russian fans abandoned the rest of the games after their team was sent packing early. If they exit at the same stage next year, it might mar the attendances in the rest of the games as well. And hopefully the anger does not cause any trouble afterwards. The security this year was top notch though.